countless of wonderful, priceless moments from pregnancy to when they where babies, toddlers and now siblings. She has managed to capture our family essence and the love and adoration we all have for one another. We have always felt at home and comfortable with her, which shows in our photos. I continue to treasure every single image I have ever received from our shoots and will do for a long time. They are timeless and elegant and I would not trust anyone else to capture these precious moments in time of my family. Thank you Kristy for capturing these wonderful snippets of our family. If you are looking for an amazing photographer look no further. 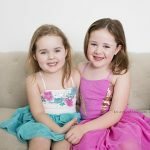 I have been coming to see Kristy Lee Photography for several years now with my young children. From baby to toddler to a young princess with an attitude she can handle it all and produce some heart bursting and precious memories. 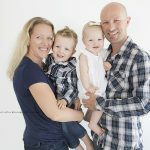 I absolutely recommend Kristy to anyone looking for quality and gorgeous photos. 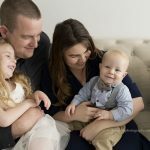 Kristy has photographed our family on many occasions over the past few years, including pregnancy, newborn and family sessions. Kristy is always so accommodating, patient, and relaxed, especially important with our young children. The images that Kristy has produced for us are wonderful quality and a lovely classic style that won't date, they make me style every time I walk past them on the walls in our family home, she captures the special moments in our life perfectly!